I suffer from migraines a lot, to the point that it has really been affecting my daily life. Work, family, everything depends on whether I have a migraine that day or not. And since I have them a lot, my whole life seems to be on hold at the moment. Do you think that yoga could help with them? I have been monitoring my diet to see if I can identify any triggers but so far nothing. I'm staying off caffeine, I'm reducing the consumption of cheese and sugar. My doctor said it is probably hormonal and prescribed painkillers with codeine - which I really don't to be taking since I may be replacing one problem with another one! I'm trying hard to stay off any medication, but have been taking a lot of ibuprofen lately, which leads to having an upset stomach a lot. So basically I'm wondering if you know of any cure, anything at all I could try, yoga or health style related, I'm all ears! Ugh, I'm sorry you're dealing with migraines! If you're not into painkillers (and I do NOT blame you there! ), maybe seek out a doctor who would take a more holistic approach. A naturopath might be a good bet. Yoga might be a helpful supplement to treatments but I always think that when it comes to medical issues, it's best to consult a doctor or naturopath just to make sure it isn't something more serious. Trouble is that it is quite difficult to get to see a good doctor here (UK). I have been to the general practitioner more than few times already, it just didn't get anywhere. I had blood work done and it didn't show anything, so all I was given were painkillers. I went to a private chiropractor as well but they are just too expensive, and although I enjoyed the 'popping' sessions, they didn't help with the migraines. I did do your 15 minute morning yoga session today and it felt good, I'm going to a yoga lesson tonight as well. I'm going to be keeping a journal to monitor the migraines together with my diet and exercise, it might be interesting to see if I find any correlations. Hello there! I'm so sorry to ear that. I don't have much headaches but I grew with my mom suffering a lot. In her case it was related to stress and food, and with a change in lifestyle they went away. I found some poses that can help you (http://www.mindbodygreen.com/0-7256/10-yoga-poses-to-heal-migraines.html). Take it slow, breath, and try to relax! In that same web page there are helpful articles about migraines (http://www.mindbodygreen.com/search.action?q=migraines). Take a look and try some tips. You can also try acupuncture with a profesional, or some acupressure that you can do at home (http://www.modernreflexology.com/6-effective-acupressure-regions-to-treat-migraine-headaches/). I sometimes use it and helps a bit! I think a qualified yoga teacher/therapist would be best to help you deal with this. Someone who has experience with this will get you doing the most helpful things at the start. Without knowledge and experience a person could spend a great deal of time trying to figure out how. Traditional Chinese Medicine understands headaches and pain well. Western medicine does not. One time I had a situation with severe pain and the surgeon wanted to pump me full of oxycodone for months. I said likehell, more like I yelled it. I used some simple methods from yoga and Traditional Chinese Medicine to deal with the pain. Although I didn't realize that I was using Chinese Medicine at the time. It was very manageable and never more than a minor inconvenience. When I would go to the surgeon for an appointment his assistant would ask me how bad the pain was. I would tell him I wasn't taking anything and it was fine and he couldn't believe it. I didn't even bother trying to explain it to him. There are methods besides drugs you just have to find one that works for you. Someone with experience will get you there much quicker. And instead of some partial relief you will get the 90% -100% relief that you deserve. It's interesting that a lot of headache relieving postures are head down - something that makes my migraine worse. As for the traditional Chinese medicine, I'll look into it, see what I can find. With any intention of yoga some of the postures are required for the process to work. With each individual some can be excluded or modified. That is why a knowledgeable yoga teacher is helpful. I started a group yoga practice the other day. The first session was all about stretching and since it was my first time, I kind of just 'followed'. But next time I'll ask her for some advice. I also suffer from migraines, and I have to say that seeing a neurologist had made quite a difference. A referral to a specialist might help. I've never been prescribed codeine painkillers for my migraines. Painkillers with caffeine are quite commonly used with migraines, though I have to avoid them because caffeine deeply disagrees with me. I've found that certain specific painkillers for migraines my neurologist prescribed (triptans) can be quite effective without having to take them on a daily basis and are gentle on your stomach. I personally avoid iboprufen for that same reason. There are no dietary triggers in my case - the same might apply to you. 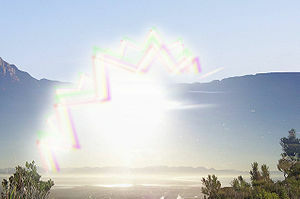 Stress, not getting enough sleep can trigger a migraine, as can the weather (very sunny days, sun glare). Hormones might be related to your migraine or not - the only way to know is to keep track of your migraines, writing down time, date and anything you were doing around the time you first felt the symptoms. As for alternatives to painkillers, it depends. I tried with apucunture, but it made no difference. Lavender oil applied to my temples, on the other hand, helps me relax and hold off some of the milder migraines. Yoga can help, in that you learn to breathe properly and release tension in your neck and shoulders as well as keeping your stress levels low. I haven't found any specific yoga poses that make my migraines disappear instantly (no such thing as a miracle), but a gentle practice - or a regular one at a slower pace - helps a great deal. I'd like to get referred but where I live, it is very difficult to see a specialist. The nearest hospital is also a major trauma centre, they are always busy and overbooked, which means that being seen for something as 'trivial' as a migraine is next to impossible. The tablets I was prescribed were Migraleve, which contain Paracetamol, Codeine and Buclizine. It says it on the box (in big letters), that they cause addiction, which is why I am not taking them. I am quite an addictive personality, it has always been 'innocent' drugs, such as chocolate or cigarettes, but I'm not going to put myself in a situation that could easily get out of control. Anyway, no point dwelling into it. I've been doing my yoga every day for the past 2 weeks, had a migraine the first week, but not since. I'm off coffee/black tea. What slightly helps is the '4head headache stick', it creates a cooling feeling when applied, which can hold off a migraine IF I can be in a quiet, dark room for a bit. Which is not often, during my busy days. I'll just keep going, trying new things. I'm going to be working more hours from tomorrow, so I'm just hoping I won't come down with a migraine the first day. I work at school - no place to hide or escape! I'm sorry to hear your migraines are so bad, I know the feeling they are TERRIBLE. I too suffered from migraines, and still do occasionally. At their worst, I would get one once a week. UGH! I've done a lot of research and experimented with some things myself, so these are what worked for ME and what I learned, so I am not sure how they will work for you, but I hope something helps! Diet - When I don't watch what I eat and find myself eating a lot more carbs I noticed I would get a migraine, also if I wasn't eating enough! Hangry+migraine=duck and cover! Water - If I am not hydrated enough I know I will get a migraine. Most of my migraines would be after a weekend, and I am embarrassed to say that for whatever reason I just don't as much water as I should on the weekends. I've been working on it and seen a significant change. Weather pattern - I read this fascinating article about barometric pressure headaches and I can honestly say that I feel it, and others too! People in my office who had never had a migraine experienced them for the first time last week. I live in New England and we had cold rainy days followed by a sharp change the next day to temps in the high 80's! There's more to barometric changes then just temperature, but basically if I can rule out the other four causes for my migraines, and I know the weather has been funky then it's usually this. I hope some of this helped! Once again, I'm not a doctor this is just what I've found to work for me. None of these are crazy things, but I think you should still consult with a doctor or a Neurologist regarding your migraines. Migraines are the worst. I used to get them a lot, and I think I figured out why – nutrition. Once I cleaned up my diet and started making it a point to drink lots of water, they vanished. They still come back from time to time, but not nearly as frequent. Combined with yoga and meditation, the frequency of the migraines has gone down incredibly. Doctors had prescribed me a few different things in the past that didn't seem to make things any better, so I took it into my own hands. Who knows your body better than you? It took a long time to realize what the triggers were... for me it was alcohol, lack of hydration, and sugar intake. Sometimes a migraine will hit when you least expect it, or in the most inconvenient time, and I have come up with some methods to help get rid of them. Depending where you live, you may or may not be able to get your hands on some cannabis – that's the #1 key to fighting migraines. After that, run a hot shower with some peppermint oil on the ground, so the steam creates a nice atmosphere (I learned that on the YBC forum ), soak in the shower, in the dark, for as long as needed. After you're done, start the meditation on your mat. I've found that sitting up straight helps the most – laying down in the dark with a cold cloth over your eyes also helps, but for me, sitting up straight makes them go away much faster. After you're comfortable enough, try some poses out and see what feels good. One of my friend has migraine problem. Migraines is unbearable headache, it can be for short while or for long time, the cause of it is still unknown. The worst thing about it is that migraines can occur any time. However, yoga and meditations can helps a lot and of course, a proper diet is essential in order to avoid this migraine pain. Migraines and headaches are extremely common and can affect your daily life. There are many ways of treating this monster inside of your head. Some of these remedies include a number of surgeries and countless medications. These treatments will cost some money and it will take time to cure the problem. Now, that doesn’t mean to stop taking any per scripted medication you are on for migraines. Address your doctor before you make any changes and if you even need to go that route. However, medications and surgeries are not the only way to get rid of a migraine or headache. Some natural healing agents to consider would be yoga and essential oils. With the help of these poses, the pain of your migraine or headache should disappear. Peppermint. This oil has a long lasting cooling effect that will help relieve tension by rubbing it across your forehead and along your temples. Lavender. Not only does this sedative and antidepressant oil help with headaches, but it will also reduce muscle tension, relieve stress, boost mood and aid sleep simply by diffusing five drops in your work space or at home. Eucalyptus. This oil works as a cleanser and helps get rid of toxins in the body. If your headache is caused by pressure in the sinuses, dilute two to four drops of eucalyptus oil in another carrier oil and topically apply to either your chest, back, neck, temples, or forehead. This will help clear your airways and essentially relief your head pain. Rosemary. This oil has anit-inflammatory properties that creates a calming effect that will help with your alertness and personal orientation. You can either put a drop of rosemary in tea, water or soup or you can mix it with some carrier oils and rub into temples, forehead, or back to relieve a headache or migraine. There are many other oils that can help treat headaches or migraines, but these are the most common ones. Medications and surgeries can do wonderful things. Some people really benefit from these healing agents. However, yoga and essential oils have less risk factors and are a natural cure for your body’s pains. I know I'm late replying to this thread, but my mom swears by black seed or black cumin (nigella sativa). I also get migraines and headaches in general pretty regularly, but I have been very bad at following my mom's advice - I have only recently started taking about a teaspoon of black seed every morning with my granola, so I can't really vouch for it personally. My mom, however, had been suffering with migraines/headaches for a while because of a tumor and other health reasons and now says that she very rarely gets them (and that is pretty much only when she drinks alcohol). I have heard though that you cannot take it while pregnant, so be sure to do some research in case you are. Yes, please do your research! What works for one person will not work for another with migraines. For instance, my mom and I were both good candidates for Botox for migraines so my neurologist tried Botox on each of us. My mom gets Botox every 3 months on the dot as it has done wonders for her migraines. I did two rounds before my neurologist stopped as my migraines got worse. My tinnitus (something I only got when my allergies were bad) became a constant thing I had to battle. My migraines are now controlled by a strict regimen of daily medication (with take as needed meds) plus a once weekly massage with chiropractic adjustment. Since yoga calms my mind and reduce my stress, it does in turn reduce my migraines, but only my stress migraines. It can't reduce weather migraines or lack-of-sleep migraines or such. For migraines, you need to see someone who specializes in the brain. You need to see a neurologist, not a general practitioner. Hello there! I am sorry that you have migraine. I do have migraine as well. But I found a "cure" for myself, which makes the migraines appear very rarely now. I started with the migraines when I was around 10 years old and now I am 34. At first the pain was killing me and I didn't know what to do. I actually didn't know what happens at all. After years of pain I started analyzing the problem and found out what happens and the best is that I found WHY it happens. I did this at least 2 times a week and I had a lot of migraine crisis. BTW I have a migraine with aura. For those that don't know it is a symptom and you see it with one of your eyes. It lasts for about 30 minutes before the pain starts. So, after years of analyzing I found the triggers. And I started fixing the problem. I used to have pain after every aura. After I started changing the way i live, the pain still appeared but not after ever aura. I also used to have migraine crisis at least once every month. I had even 3-4 migraine crisis in 2 days. Not any more. The crisis stopped. Now they appear rarely. Of course added something else to my eating diet. I take minerals and vitamins now and then. Magnesium and Vitamin B6 are what I take the most. Magnesium deficiency is related to factors that promote headaches, including neurotransmitter release and vasoconstriction. People who experience migraine headaches have lower levels of serum and tissue magnesium than those who do not. I found that by reading many studies like those. But remember that I do not recommend you to take anything without asking your doctor first! In short this is my story. I hope it will help you open your eyes for some of problems that trigger your migraine. Auras are a little different for everyone! "Migraine with aura" simply means you have a cluster of symptoms that are known to happen before each migraine (I see a neurologist who specializes in migraines.) I have something called "migraine without aura" which means I often have migraines with little to no symptoms beforehand, although I can have them sometimes. When I do have aura, my neck typically hurts so bad that I feel like it can't support my head. I also tend to have numbness in one arm or hand. The first thing I do is take my migraine medication, then put an ice pack on my occipitals, over my eyes and a heating pad on my feet. That normally knocks those aura ones out fast.